Who here was a fan of Nickelodeon in the 90's? Remember watching All That, Are You Afraid of the Dark?, Salute Your Shorts and Alex Mack? I swear those were some of the best ever Nickelodeon shows and they were such a big part of my childhood! I love that my daughter is now a fan of Nickelodeon too! She's always watching Sam and Cat and Nicky, Ricky, Dicky & Dawn and makes sure to record all the new episodes! She's also looking forward to the 2015 Kids' Choice Awards on March 28th at 8pm ET! 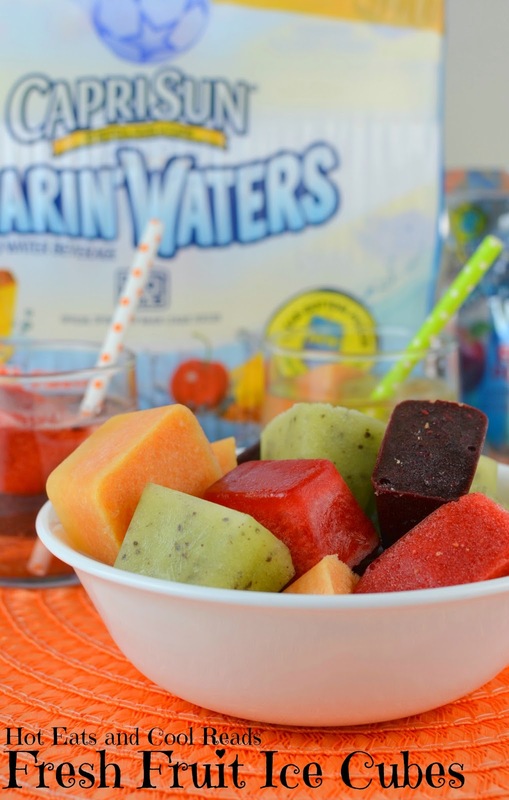 Capri Sun Roarin' Waters is the official drink sponsor of the Kid's Choice Awards this year! What a better way to watch the awards than sip a delicious cup of Capri Sun Roarin' Waters with some delicious fresh fruit ice cubes? 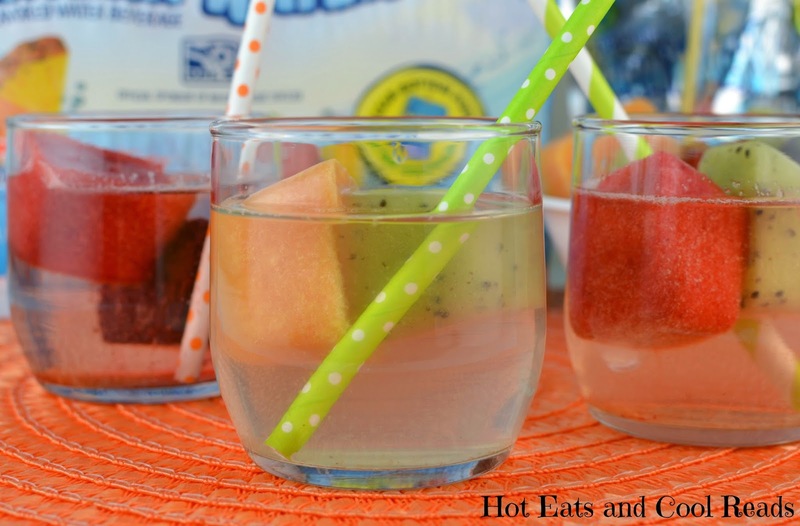 This is such a refreshing, better for you drink, and as the ice cubes melt, you get some fruity goodness in every sip! I don't know about you, but I love everything fruity! We used blackberries, strawberries, oranges and kiwi, but you can use any fruit you like! We really love drinking Capri Sun Roarin' Waters. It's a lightly fruit-flavored water beverage with no artificial colors or flavors. It's also only 30 calories and a fun way for kids to stay hydrated*. 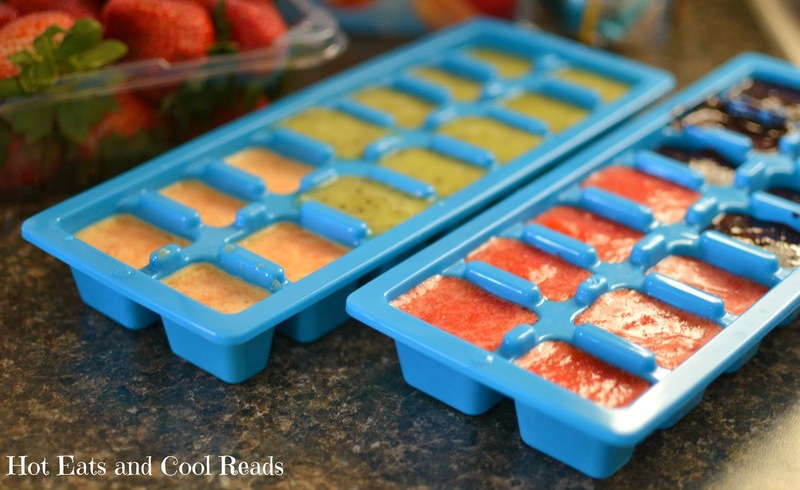 Make sure you enjoy these fun fruit ice cubes for the awards! My daughter just loved it and I'm sure your kids will too! 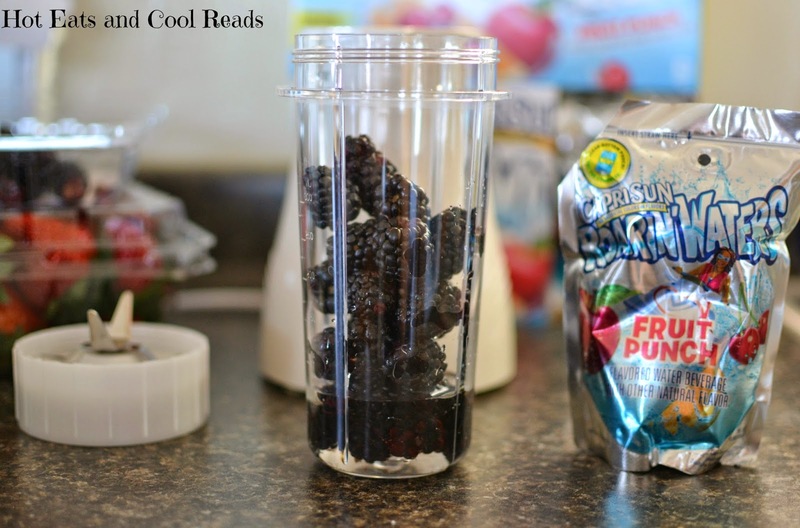 Place fruit and Capri Sun Roarin' Waters in a blender. Pour into ice cube trays. Freeze overnight. Serve ice cubes with Capri Sun Roarin' Waters and enjoy! 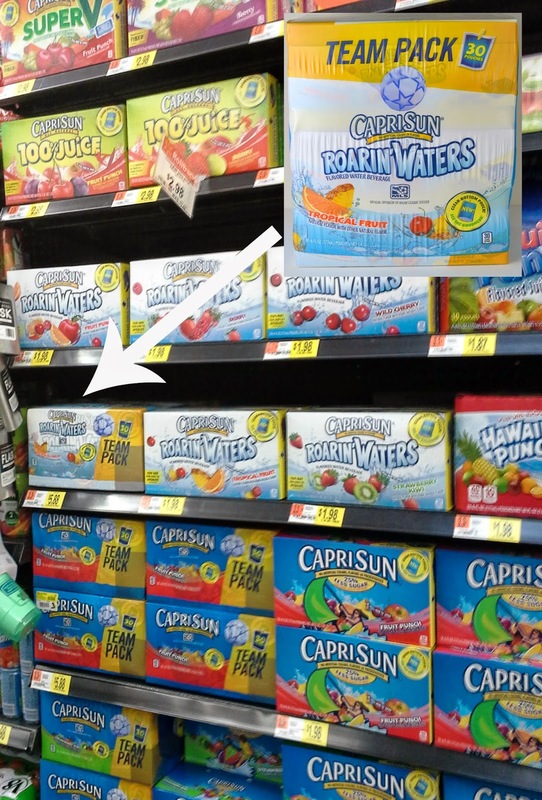 While you're out shopping at Walmart, make sure to keep an eye out for the special Kids' Choice Awards Capri Sun Roarin' Waters display and pick up some for the awards! They come in 30-count packs and are also perfect for snack time, picnics, or trips to the park! Do you make any special snacks or drinks for the family when watching the Kid's Choice Awards? Leave a comment letting me know! I'd love to hear your ideas! I love this idea! I can't wait to try it! This looks so refreshing! I'm always looking for ways to drink more! Love these fresh fruit cubes! So perfect for summer! These are awesome! Such a perfect way to keep your drinks chilled, but not diluted either! I definitely want to make these with the kids! Oh my gosh, these are so much fun. Yes, the kids would adore them, but so do I. I want to put them in all my drinks!